The origins of physical therapy can be traced to the beginnings of medical science. 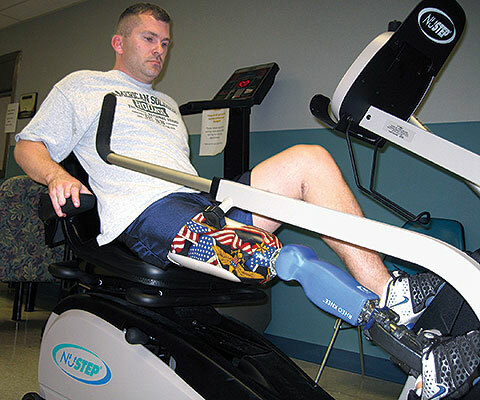 PT uses physical intervention to restore mobility and independence or to prevent loss of mobility before it can occur. Although PT can involve manual therapy, its full effect usually requires active participation by the patient. 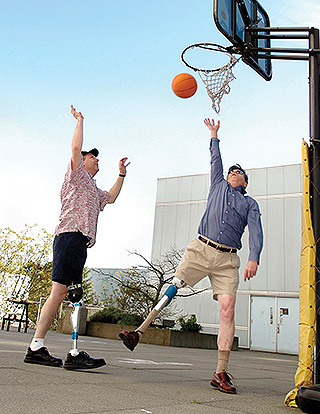 Such activity may at first be difficult—especially for a patient who has suffered serious injury, stroke, or amputation, or who is recovering from a joint replacement surgery. Ultimately, though, the activity itself becomes the basis for an enhanced quality of life, including independence and mental health. PT also helps avoid dependence on pain medication, an especially important focus in the face of the current opioid crisis. Obioma “Oby” Ogbuawa is a Board-Certified Orthopedic Specialist who works with patients at the Washington, D.C., VA Medical Center. Many of her patients are Vietnam War veterans. When asked about the most prevalent problems she sees among Vietnam veterans, Ogbuawa named low back pain, neck pain, and knee pain as “probably the top three.” She also treats amputees and patients who have had knee or hip replacements, and gets referrals for patients with MS or who have residual weakness from strokes. In response to the opioid crisis, the VA has started pain clinics, which also rely on combining specialties. “We started ours about three years ago; it’s a collaboration between a physical therapist, neurologist, social worker, and a psychiatrist. They work together to find the best treatment plan to help reduce pain,” she said. “I think that’s been very helpful. It’s one of the first places people now like to go to in the clinic, because they’re using things such as acupuncture with exercise and other modalities to give patients a better understanding of their pain and how to self-manage. And then there’s the essential collaboration between the patient and the physical therapist. Do patients generally maintain exercise programs therapists design and recommend for them? In another case, she said, “One of my amputees was in a wheelchair for about two months and wasn’t progressing, even though he had all the potential in the world. We talked about a couple of things that he had gone through in his life, and I said, ‘We have mental health services here, and I know it’s hard for you to get here’—because he hadn’t done any driving training since he’d had his amputation. So I contacted psychology services, and the psychologist came down and participated in physical therapy. We did a couple of co-treatment sessions together. “One of the ‘big pushes’ in physical therapy is education in women’s health,” Ogbuawa said. “This is on the outside and now coming into the VA. Five years ago, I would treat maybe one new female veteran a month. Now I probably have six or seven on my caseload. At our VA we have opened up a women’s health clinic, and they have all the physicians there, and we are doing a one-day-a-month clinic in order to educate on pelvic floor services for incontinence or urgency. Even patients who may not have an immediate need for physical therapy can benefit from learning about it, or even from one or two PT sessions as a preventive measure, Ogbuawa said. “Most of the research shows that decline of strength starts to happen within the third decade, and I think a lot of people could benefit from education on just back exercises and strengthening the lower extremities. It’s just to decrease, as we age, the risk of falls, fractures, and problems with posture. I can’t tell you how many people have been referred to me with neck pain because they’re always looking at their cell phones. “Also, outside the VA, I’m seeing kids who are complaining about low back pain, and it’s because their backpacks are so heavy. They’re having to carry all these books, and their spines are not strong enough. Even here, some of the veterans don’t want to use a wheelable book bag because they find that it slows them down. So they throw it on their back—a pack with their laptops and the book bag and their workbooks—and they are complaining of back and neck pain.